We are an approved Washington Office of the Insurance Commissioner education provider (OIC Provider# 300354). Complete your required pre-licensing education, and study for your Washington Insurance Producer licensing test at the same time! At Your Pace Online offers convenient and affordable online courses that can be done anywhere you've got an internet connection. Once you complete one of our online training classes, we'll report your course completion directly to the state for you! Complete the required pre-licensing course through an approved provider. The pre-licensing course must consist of 20 hours of study per line of authority. 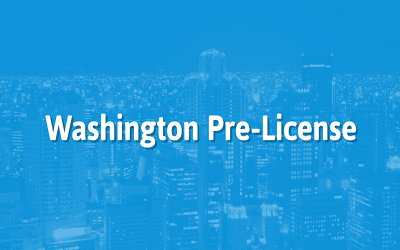 Schedule and pass the official Washington Insurance licensing exam through PSI. Fill out and submit your license appliation through the Office of the Insurance Commissioner. Our deluxe package includes bonus study materials to help you ensure that you're ready for your state test! This 40 hour package is approved by the State of Washington to meet the mandatory Pre-License Education Requirement for the Property & Casualty Insurance lines. A minimum of 20 hours is required for the Property Insurance course and 20 hours for the Casualty Insurance course. Our 40 hour package is approved by the State of Washington to meet the mandatory Pre-License Education Requirement for the Life & Disability Insurance lines. A minimum of 20 hours is required for the Life Insurance course and 20 hours for the Disability Insurance course. We have included in this deluxe package a downloadable PDF and a Test-Simulator Exam, to help you ensure that you're as prepared for your exam as possible. Take the first step to become a Life & Disability Producer, At Your Pace Online! Our 20-hour package is approved by the State of Washington to meet the mandatory Pre-License Education Requirement for the Life Insurance line. This deluxe package includes a downloadable PDF and a Test-Simulator Exam, so you can study even more effectively for your exam! Our 20-hour package is approved by the state of Washington to meet the mandatory Pre-License Education Requirement for the Casualty Insurance line. 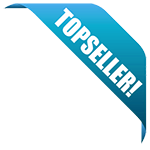 We have included in this deluxe package a couple things to help prepare you that much more for your state exam, such as a downloadable PDF and a Test-Simulator exam. Our 20 hour package is approved by the State of Washington to meet the mandatory Pre-License Education Requirement for the Disability Insurance line. We have included in this deluxe package a couple things to help ensure that you are prepared for your state exam! Take the first step to become a Disability Insurance Producer, At Your Pace Online! Our 20 hour package is approved by the State of Washington to meet the Mandatory Pre-License Education Requirement for the Personal Insurance line. We have included in this deluxe package a couple things to help you ensure that you are prepared for the state exam! Take the first step to become a Personal Lines Insurance Producer, At Your Pace Online! Take the first step to become a Personal Insurance Producer, At Your Pace Online!